← It’s Good To Be Recognised! 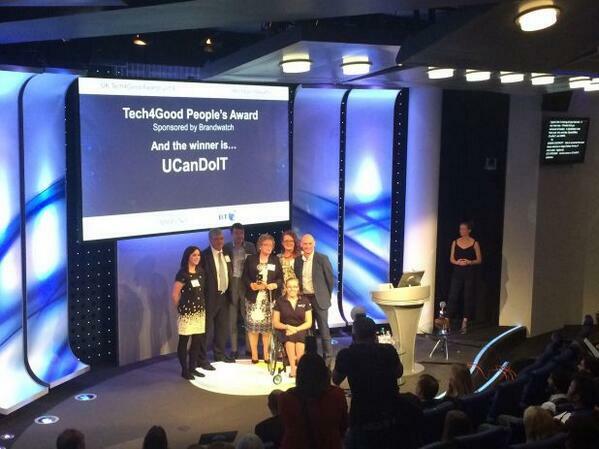 We are doubly thrilled to announce that UCanDoIT have won the Tech4Good Awards for Digital Skills and the People’s Award. Our thanks go to everyone who voted for us and all those involved in the charity that have made this possible. This entry was posted in Announcements, Events, Uncategorized and tagged accessibility, Disabilities, Disability, independence, Internet access, Opportunities, technology, UCanDoIT. Bookmark the permalink.